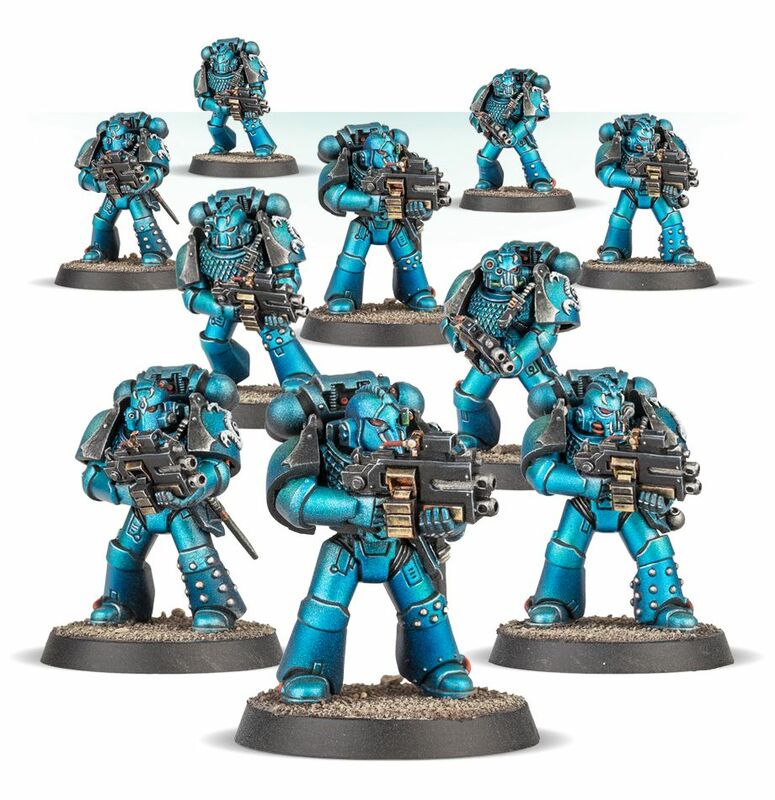 *leans in close to everyone's ear and whispers* "Hail Hydra..."
Ok, so that's a different franchise, but it works in this particular instance, since Forge World has started taking orders for new Alpha Legion figures (their symbol is the hydra, if you didn't know). 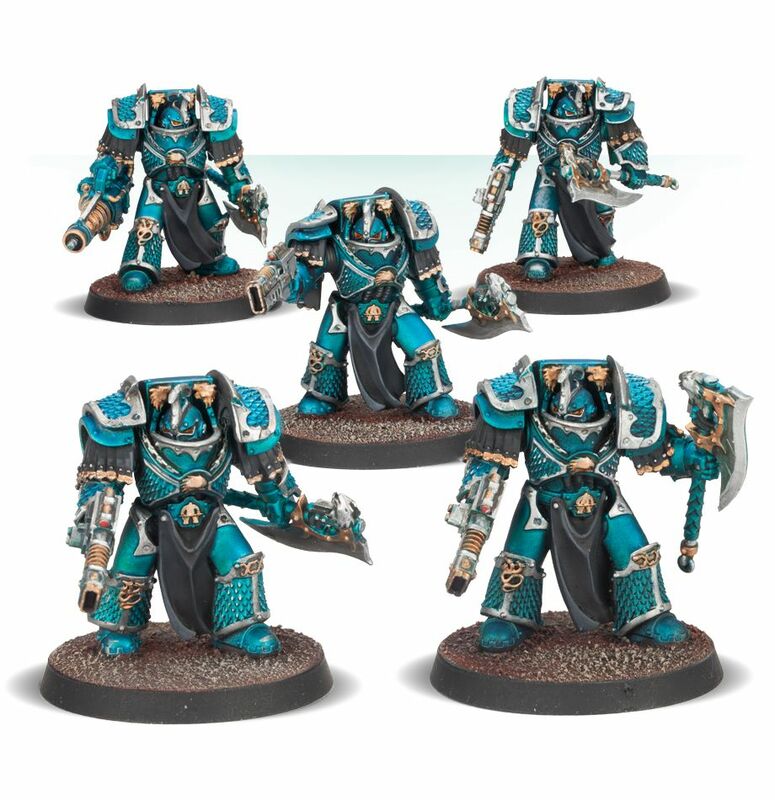 The new kits include Alpharius, the Primarch of the chapter, as well as a Tac. Squad and a Terminator Squad, plus doors for your various tanks and transports. Of all the Primarchs of the Legiones Astartes, Alpharius is without doubt the most steeped in mystery, legend, contradiction and deliberate falsification. Clad in armour forged in the manner of some terrifying beast of ancient Terran myth and armed with a fearsome panoply of weapons of unknown provenance, Alpharius bestrides the battlefield like a figure from legend. 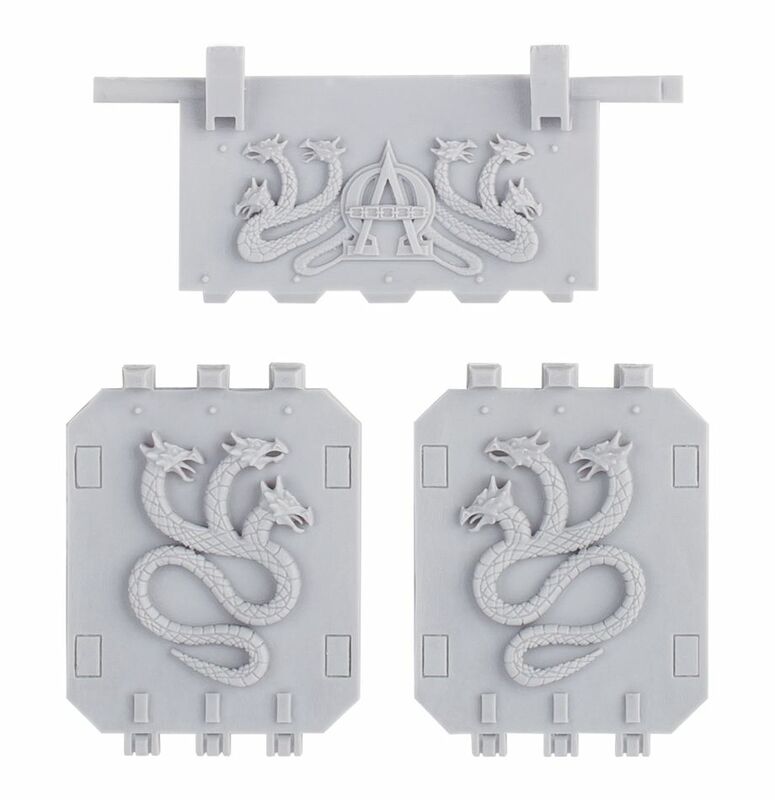 Like the hydra he and his Legion take as their symbol, in battle Alpharius fights by repeated attacks from multiple and unexpected quarters. None can predict where or how the Primarch will strike, what weapons he will bring to bear or which of his many different forces will fight at his side. In many cases, the enemy are not even aware they are fighting until the very moment battle is joined, at which point they are already doomed to total and utter defeat. 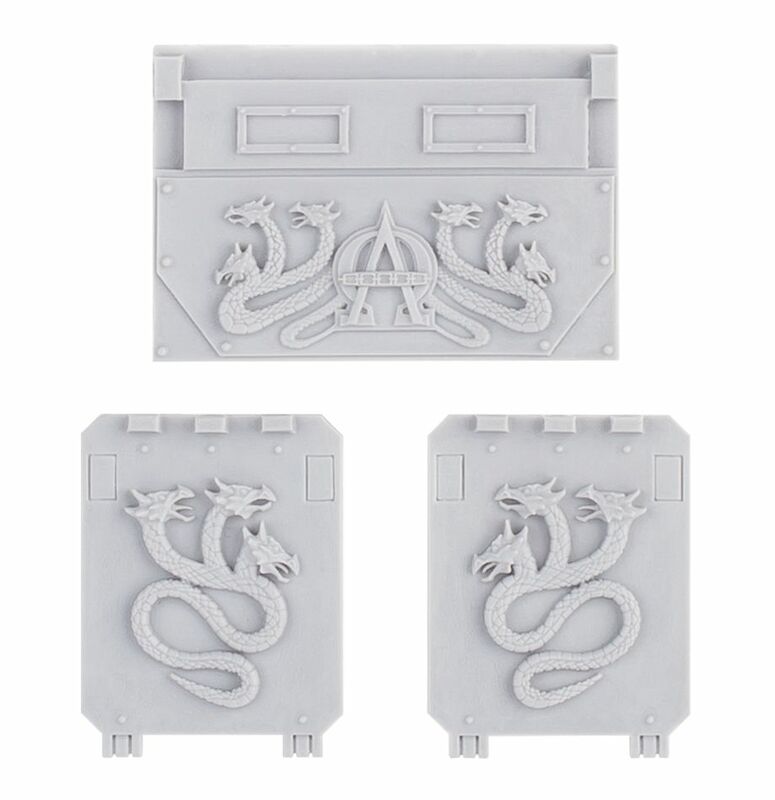 This multi-part resin kit contains the components necessary to assemble Alpharius, Primarch of the Alpha Legion. He wears The Pythian Scales, a set of unique and beautiful armour crafted in the manner of a hydra – the leg plates, chest and arms are all covered in textured scales, with 4 aggressive, spiked and fanged hydra heads snaking around his backpack. A cloak, woven with cameleoline, hangs from his shoulders with embroidered hydras featuring at the bottom. Alpharius is well-equipped for battle, with a grenade pack and master-crafted plasma blaster on his belt, and the Pale Spear in his hands – this is a large 2-handed weapon ending in 2 vicious barbed prongs. The model is posed aiming this spear downward – included is a scenic base depicting a struggling space marine desperately attempting to crawl away as Alpharius aims the Pale Spear to deliver a coup de grace. The space marine on the base is heavily damaged, his armour plate cracked and covered in holes. 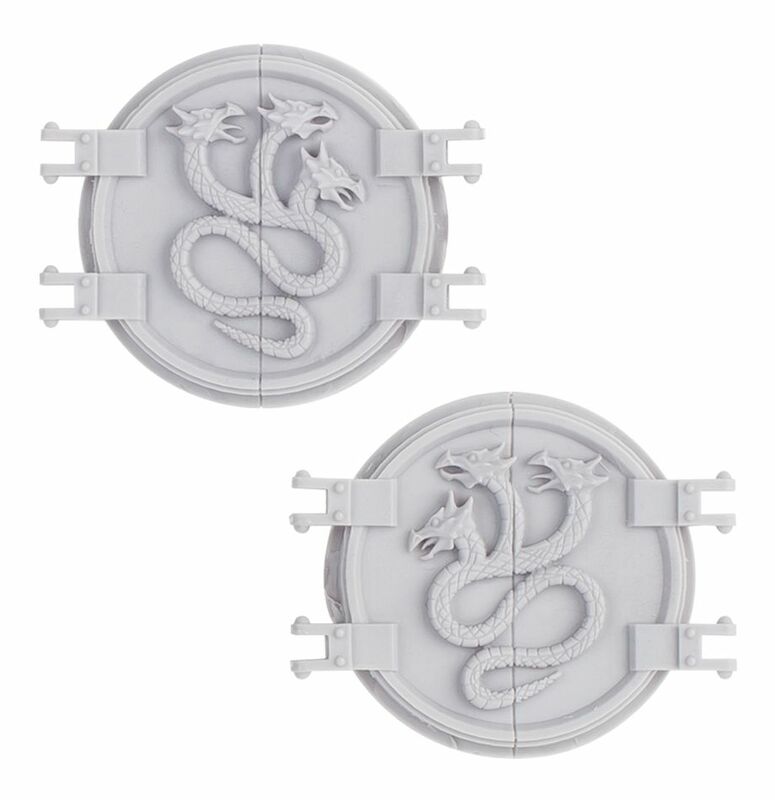 This kit comes as 22 components, and is supplied with a 40mm round gaming base and a 60mm scenic base. 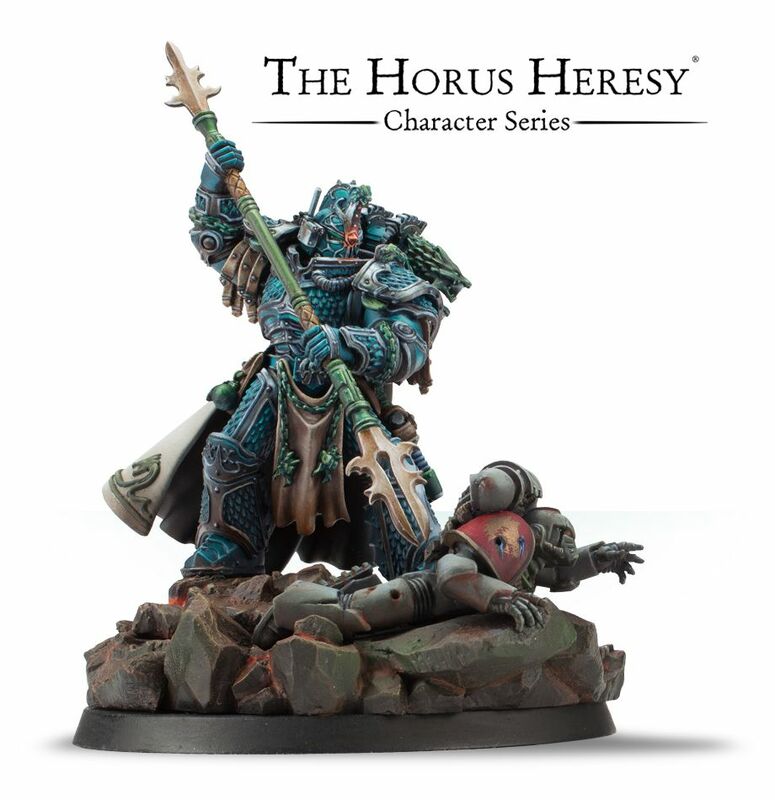 Rules for Alpharius can be found in The Horus Heresy Legiones Astartes: Age of Darkness Legions.